In the 1930s, to help promote the sale of empire goods, the International Tea Market Expansion Board was formed. Several colourful maps were commissioned by them from graphic designer cartographer, artist and architect MacDonald Gill to help illustrate the benefits of tea and tea drinking. Gill was commissioned later on, too. His ‘Tea Revives the World’ map was produced as part of a campaign of reassurance that all would be well during the darkest days of the Second World War. Winston Churchill recognised that if supplies of tea did not reach servicemen and women fighting overseas and those at home working in factories and on the land, there would be a damaging loss of morale. ‘Tea Revives the World’ implied a determination by the Allies to ‘Keep Calm and Carry On’ and to remind people that their cuppa was secure. Packed with snippets of history and amusing quotations it is just the thing to explore as you wait for the kettle to boil. And so it was that at the height of the London Blitz, the ‘Tea Revives the World’ poster echoed the very British belief that ‘a nice cuppa’ is the best thing to improve morale. The sentiment still holds true. 10 February 2014 – UPDATE: And the winner is: LaRue Barnes! LaRue wins a copy of the 1940 ‘Tea Revives the World’ map. I have a lovely copy of the 1940 ‘Tea Revives the World’ map to give away! For your chance to win, please leave a comment below about how or why a cup of tea improves your morale. Tea is an instant mood-lifter powered by anti-oxidants and a refreshing flavor, and warms the Polar Vortex-driven soul! Tea surrounds and comforts me like a warm blanket. It never fails to make any situation better! It truly nurtures my soul! Morning tea warms me. Afternoon tea unites me with history. Evening tea helps me to sleep. Tea gives me the opportunity to take a break from my day, sip, and observe my day. It also wakes me up and relaxes at the same time! I find when I have a cuppa my world just slows down. No grabbing tea on the run, but to sit and sip and smile! I enjoy tea because it calms me and transports me back to a simpler time when people took time during their busy days to relax and enjoy the company of others. Tea for me = pleasure, sharing & friendship but I also like drinking tea alone, alone but with a good book. Tea warms us in the winter, it cools us in the summer. What’s better than tea and cake? When I was a little girl, I drank some tea in the cup of my Mother who loved tea “Earl Grey”! Now I am a grandmother of 62 years whose granddaughters (6 years & 4 years) say that I have a head teapot! Long live the tea that also allowed me to meet great people! Tea is what fortifies me to make it through the day, it comforts me in times of stress. 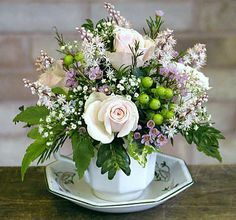 A nice hot cup of tea also adds enjoyment to the many good times and makes them memorable – so much so, that I can even recall which tea was served during particular events. A cup of tea is a great stress reliever for me. No matter how bad a day I’ve had, a nice hot cup of tea always revives me. Drinking tea reminds me of being in England, which makes me happy…. During the coldest days of winter, tea warms both body and soul. I love tea! I’m 73 and I have been drinking it since my twenties, I’m an American so that’s pretty unusual. I always make it in a teapot. I collect them. 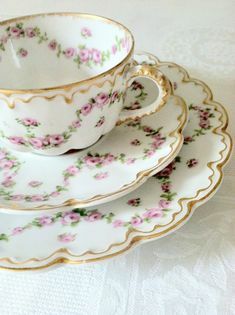 The whole process of making my tea, setting my tray with pretty china and setting in my favorite chair is the highlight of my day. A cup of hot tea slows me down, warms me up, relaxes me and is the perfect accompaniment to a good book. Given a few moments without a book, tea transports me into memories of so many wonderful moments, places and people in my life with whom I’ve shared a pot or two. I don’t know why, but it does!! There is NOTHING a cup of tea can’t make better. Tea gives me a break from the hectic middle school day. I sip and catch up on emails. Tea makes me sit, reflect on the things I may have missed during my day, reminds me of the things I will need to do and most of all allows me to enjoy the different flavors tea has to offer. Tea! Well, it’s just a wonderful drink! Tea wakes me up, calms me down, cools me off. My Nana always used to say, “A cuppa will fix just about every problem.” She was right! Tea is more than just a beverage to me. It reminds me of my grandmother when I was a little girl. My parents worked and she watched me. Her parents were from France and afternoon tea was a regular routine for us. It wasn’t a fancy affair but it was so comforting and relaxing… I still get the same feeling when I drink tea – and I drink a lot of tea. It’s a mainstay at our house. I’m new to your blog – found you through someone at the Susan Branch blog. Love it. Looking forward to spending some time reading your past entries. I’m also from a Chicago suburb – and still in the area. That first sip of tea in the morning just makes me smile and feel glad to be alive. Taking a tea break during the day gives me the chance to get centered so I can continue working with a clear mind. 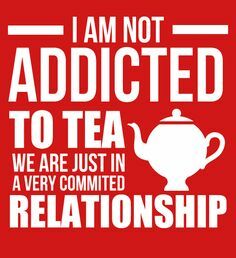 Ask anyone who knows me and they will tell you that tea is a main component in my life. 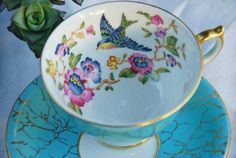 Tea is an experience in beauty; a cup of liquid warmth savoured gently and a treasure magnified exponentially whilst sipped from an vintage English teacup. The first cup is comfort in the morning starting the day with my hands around a hot mug. Swishing the tea bag,and stirring in a little sugar and squeezing the bag all part of the familiar ritual. Tea is just right. Tea reminds me of my childhood. My grandparents started their day, having a cup in the morning and ended their day with a different kind of tea at the evening. Every day. I loved the smell and taste, when I was young and I still love it today. Having my cup of tea is my happy ritual passed on through generations. Brings fourth hope, love and imagination. 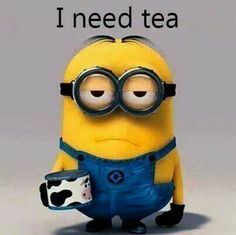 I always tell everyone, “I can “drink” a cup of coffee, but I “enjoy” a cup of tea.” And there is a vast difference between “drink” and “enjoy”. Like many generations of my family before me, I drink tea all day long! 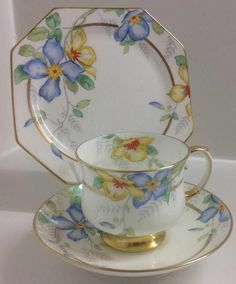 Today I had my first cup at 1:30 a.m. My grandmother used to get up and have a cup or two of tea every night; fortunately, I just do that occasionally! Tea lifts me up in the morning, refreshes me through the day and settles me down at night.